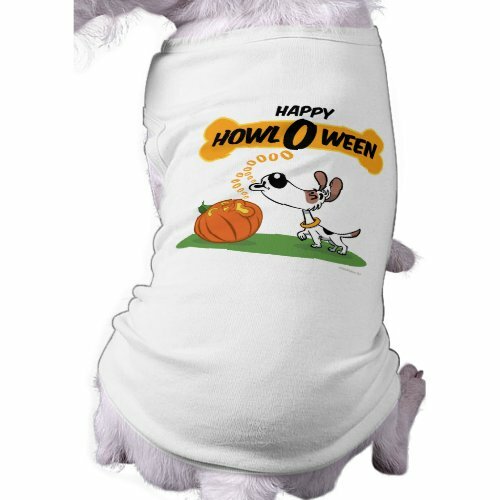 A customizable, cute, fun dog t-shirt featuring a funny, humorous cartoon of a carved pumpkin and a pet dog, both merrily howling away, as hey, its Happy Howl O Ween. A fun, comfy t-shirt to dress up your favorite pet this halloween. Makes a fun gift to dog owners and pet lovers, for halloween.